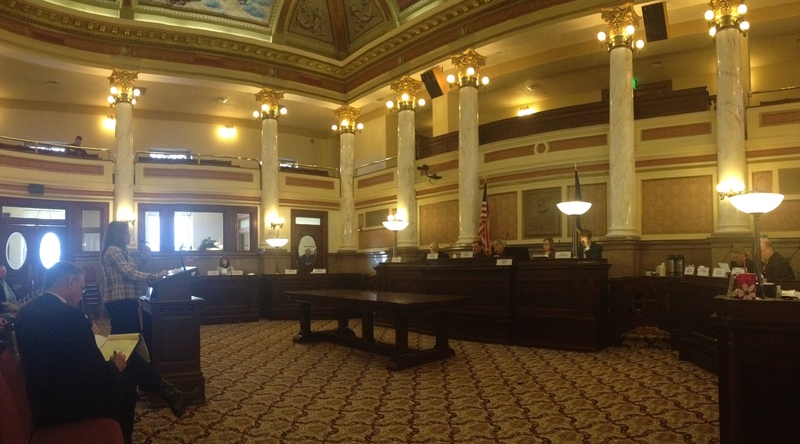 Members of the Montana Senate Judiciary Committee heard a bill seeking to clamp-down on leniency toward physician-assisted suicide granted by the Montana Supreme Court. In the court’s 2009 “Baxter Decision“, justices declared Montana law did not limit a doctor’s right to provide ‘aid in dying’ to a terminally ill patient providing consent and taking the lethal dose themselves. “This legal gray area remains, a little bit of confusion and that’s the purpose of this bill, to clarify the situation,” said Representative Krayton Kerns (R-Laurel) about his HB505. Under the bill, a doctor engaging in assisted suicide could be sentenced to 10 years in prison and/or would have to pay up to a $50 thousand fine. The group Montanans Against Assisted Suicide presented a petition supporting the bill signed by about 100 Montana physicians. Those speaking in favor of Kerns’ bill say the current leeway given to doctors opens the door to elder abuse, and rationing of care to those with severe illnesses. Retired Great Falls doctor David Hafer says he himself has undergone very painful cancer treatment, treatment that he says plunged him into severe depression for the first time in his life. He says some patients could be too easily coerced into suicide. “When this cloud of depression comes over you, from the cancer drugs that are administered, you are not in your right mind,” he said. The Judiciary Committee heard from a long line of opponents as well, including several doctors. Missoula family physician Eric Kress referencing the bill. “I stand before you and state that I am that kind of doctor, I have written an aid in dying prescription on three occasions.” He says he gave those three prescriptions out of ten who requested the option following the Baxter Decision. “All were male and all were rugged individualists,” he said, and each said it was important to preserve dignity in their deaths from painful, terminal conditions. Another Missoula doctor, Tom Roberts, said he has had patients hoard non-lethal prescription medications to later kill themselves with an overdose. He worries how HB505 would affect doctors prescribing of some of those drugs. The committee took no action on the bill Tuesday. We reported earlier this session on a bill seeking to specifically allow physician-assisted suicide. That bill was tabled by the Senate Judiciary Committee in February. A collection of controversial gun bills are making their way through the state Senate after passing the House. The Senate Judiciary Committee heard two bills from Representative Krayton Kerns (R-Laurel) on Wednesday. One (HB 302) would prevent the legislature from enforcing any new federal bans on semi-automatic firearms or high-capacity magazines. Kerns calls it a response to federal intrusion, even though the federal government has yet to make any decisions in new gun control talks. “There’s nothing wrong with us pre-empting them and saying we’re not going to go along with what it is they’re attempting to do,” he said. The Montana Sheriff’s and Peace Officers Association opposes the bill. Ravalli County Undersheriff Perry Johnson says he does not agree with the new gun regulations being proposed at the federal level, but he does not want to put state statutes at odds with federal laws. Some critics of the bill also say it would not pass federal constitutional muster. The other bill Represenative Kerns brought before the Senate Judiciary Committee Wednesday (HB 205) removes the state’s prohibition on gun silencers. Kerns says Hollywood has not accurately portrayed silencers, which her refers to as ‘suppressors.’ The gunshot is not silent, the initial sound of the bullet leaving the muzzle is lowered about 20 percent, or 30 decibals. “All we’re suppressing is the sound of the muzzle blast in the immediate area. The projectile traveling beyond the speed of sound, the sonic boom remains—the downrange noise remains the same,” Kerns said. Supporters say lowering the muzzle blast is enough to help with hearing loss for big game hunters. Plus they say a months-long federal background check is required before silencers can be used in any respect. Montana hunters can already use silencers when hunting coyote, fox, prairie dogs and gopher. This legislation seeks to lift all prohibition, allowing the suppressors for big game hunting. The Montana Department of Fish, Wildlife and Parks spoke against the bill. FWP Law Enforcement Chief Jim Kropp says landowners and other recreationists rely on being able to effectively hear where gun shots are coming from during hunting season. “Over a distance from where that weapon is fired 30 decibels does make a big difference in being able to hear the report of that weapon,” Kropp said. The Senate Judiciary Committee has not yet voted on either of these bills.